Mindfully bring gratitude to all the people who grew, packaged, delivered, sold and perhaps cooked this food for you. 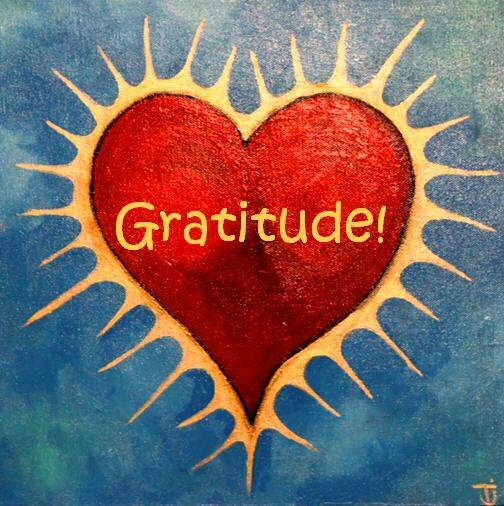 Gratitude is a foundational practice in the Self-Love Diet (SLD.) Being grateful opens all the aspects of ourselves to love. Being grateful to your body for all it does for you is one example of having a self-love practice. Eating can be a unconscious behavior for many people. Conscious eating is a sacred act. When you mindfully bring food into your body, you are thanking it for all it does for you and are refueling it with the nourishment it needs to continue to keep you healthy. When you commit to being mindful of bringing gratitude into each meal, you are not only blessing your food, you are blessing yourself, your body and everyone whose efforts brought that food to you. I was raised with saying grace before meals. In our family, this symbol of sanctity quickly became a routine litany that was dutifully and mindlessly recited before we ate. When I raised my children, I brought the practice of saying grace before meals back, and just like my family before, over time, it lost its meaning. What we bring our attention to grows. The saying “Use it or lose it” is fitting when we’re wanting to develop gratitude. I invite you to bring gratitude into your meals in anyway that fits for you. By writing this blog post today, I am reminding myself of the importance of this practice. I commit to bringing back my practice of gratitude with each meal. I will pause before I eat and bring thankfulness to all the people who made my meal possible. When I have my next piece of toast, I will thank the person who created the images and text on the packaging of the food, the person who drove it to the store and all of the people and industries that made it possible for me to have this piece of bread, which began with the farmer who planted the wheat. When I stop to think about all of the people involved in that simple piece of toast, it begins to boggle my mind! I will also thank my body for all it does for me by giving it the nutrients and energy it needs to continue providing me with health. Michelle Minero, the Co-Founder of this blog and the overarching Love Warrior Community published her book, Self-Love Diet: The Only Diet That Works. 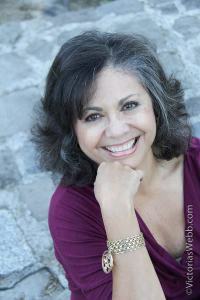 You can buy her book online or at stores in Petaluma, Sonoma and Healdsburg, California. You can also purchase a copy Michelle’s book through Amazon. For upcoming events and book signings, visit Michelle’s Events page. Michelle Minero is a licensed marriage family therapist who specializes in eating disorder recovery. Her dream is to see a world filled with people who love themselves and their bodies. Michelle created an intensive outpatient eating disorder program in 2000, brought ANAD (Anorexia Nervosa and Associated Disorders, Inc.) to Petaluma shortly after and founded EDRS (Eating Disorder Recovery Support, Inc.), a Marin and Sonoma County based 501(c)3 non-profit organization in 2005. In 2011, Michelle co-founded the Love Warrior Community with her daughter, Emelina, an online community that helps people cultivate self-love, self-acceptance and body acceptance through creative expression. Connect with Michelle on Facebook and Twitter. Gallery | This entry was posted in Self-Love, Self-Love Diet, The Body Path and tagged body-based eating, eating disorder recovery, gratitude, intuitive eating, michelle minero, mindful eating, self-love diet, Self-Love Diet Food and Eating Guideline #4. Bookmark the permalink.